This is what the original candle holders looked like. Wouldn't you agree, they were just not working? 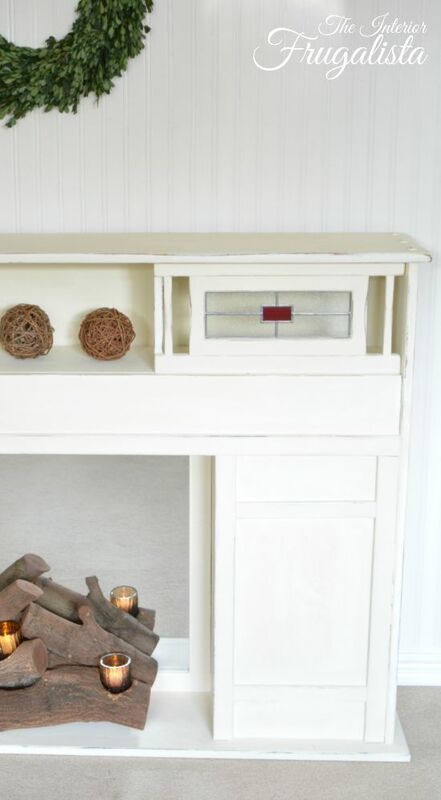 ...and here is the fireplace with the real log insert. Much better, right? 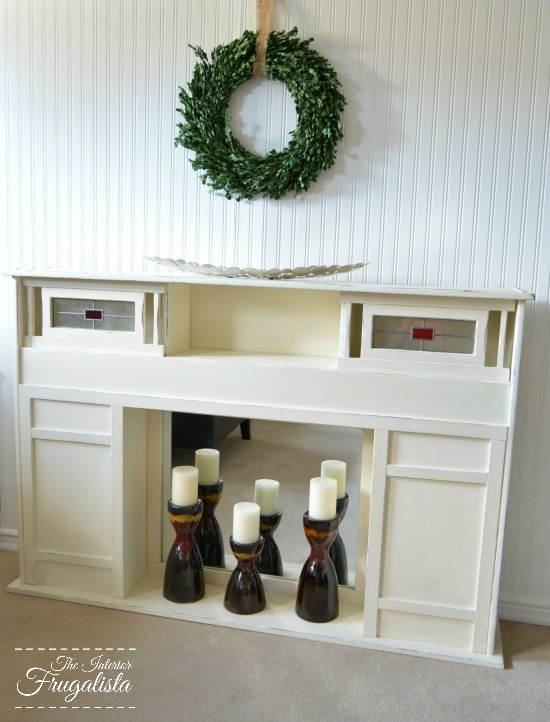 To refresh your memory, in case you missed the From Headboard To Faux Fireplace post, this is what the headboard originally looked like. 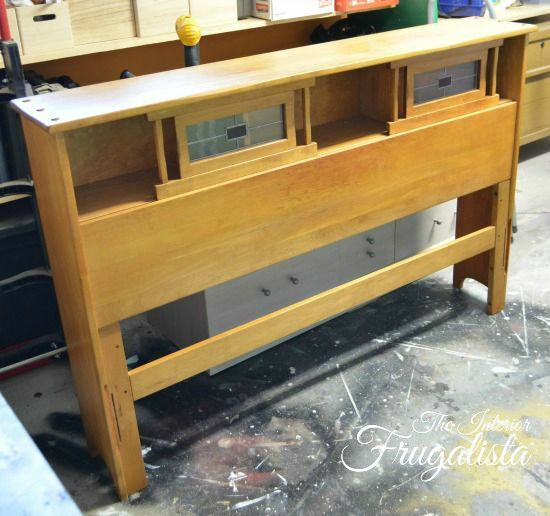 Remember those headboards with sliding doors on the top? Perhaps you still have one or see them at thrift stores all the time. 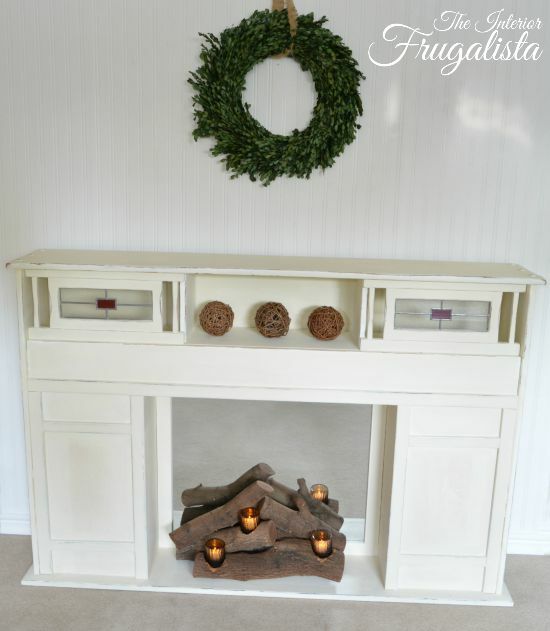 They are not difficult to repurpose into a faux fireplace. We foraged through the wood pile in our back yard to find some logs that stacked well together. 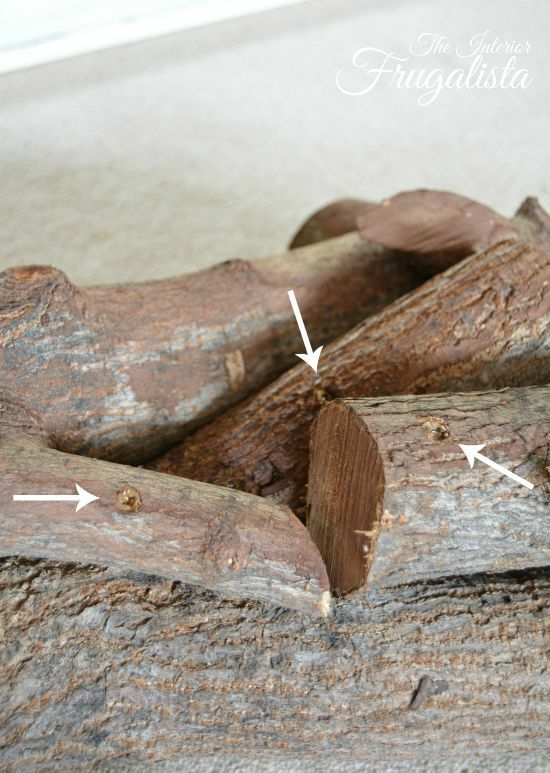 Thankfully no mouse was found in the making of this fire log insert. After we found the perfect log configuration we flipped the stack upside down and screwed them all together using #8 2-inch wood screws. The logs are from an old tree that fell down in our backyard this Spring during an unwelcomed snow storm. The cut ends of each log were still green so I aged them with what I call Giggle Juice. I always have a batch at the ready in a sealed container. Fill the container with vinegar and soak steel wool for several days in a sealed container. Apply using a sponge or brush but be sure to wear gloves or your hands will be stained for weeks. Reapply until you reach the desired aged patina. 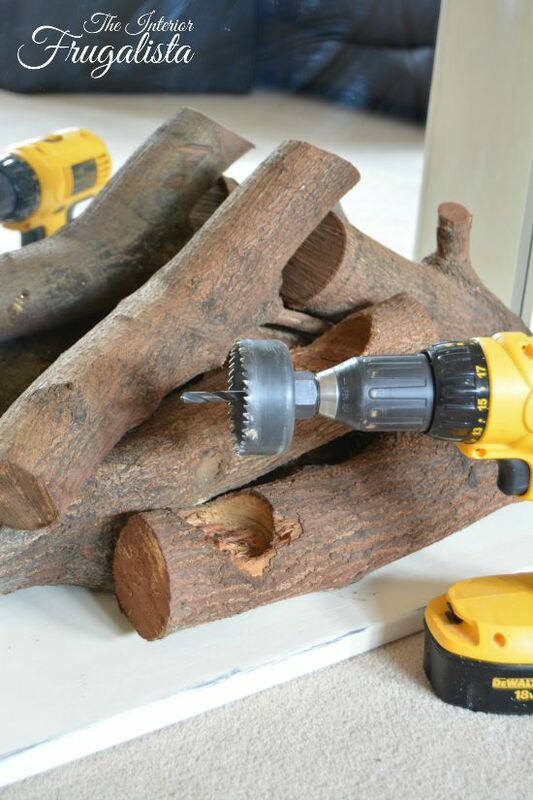 Using a 2 1/2" Hole Saw Bit, drill holes into the logs where you plan to insert glass votive candle holders. For safety reasons, I placed battery operated tea lights into each glass votive holder. 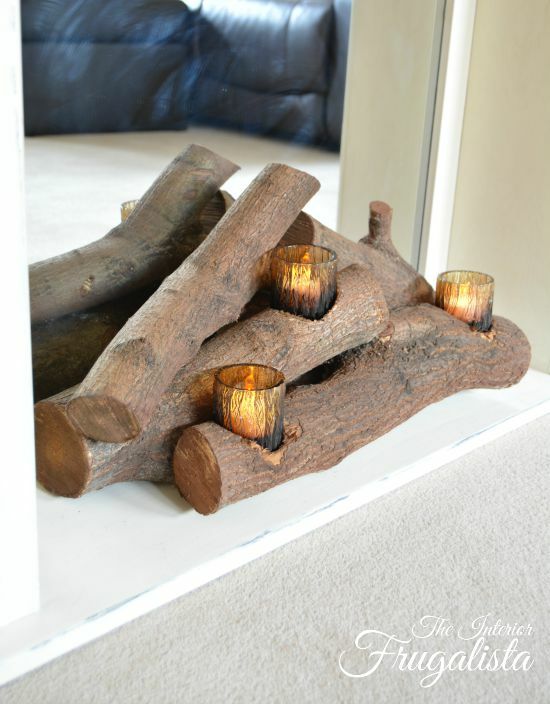 You could place battery operated wax candles in the holes instead. 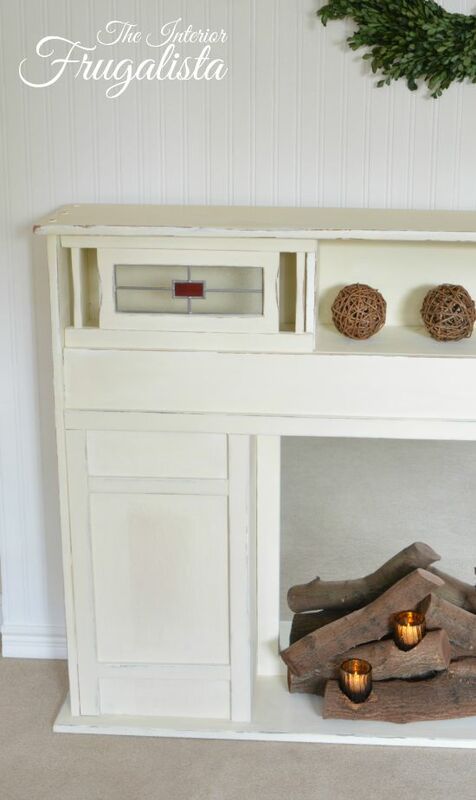 ...and the right side of the faux fireplace. 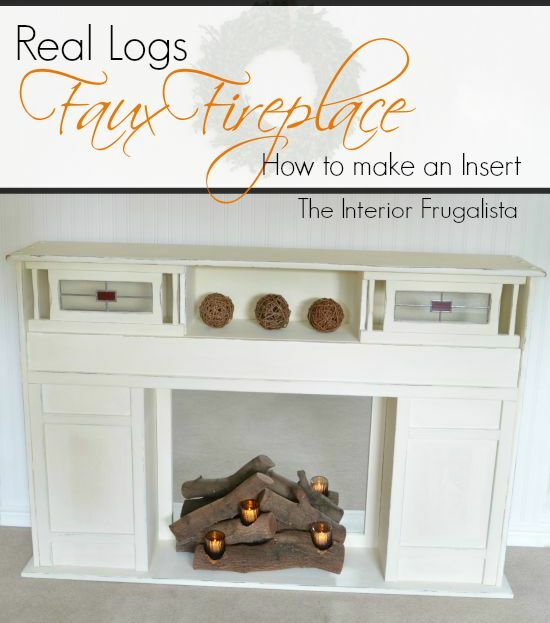 If you like the idea of using real logs and candles inside a faux fireplace or existing wood burning fireplace box, please share this with a friend and/or save it on Pinterest. 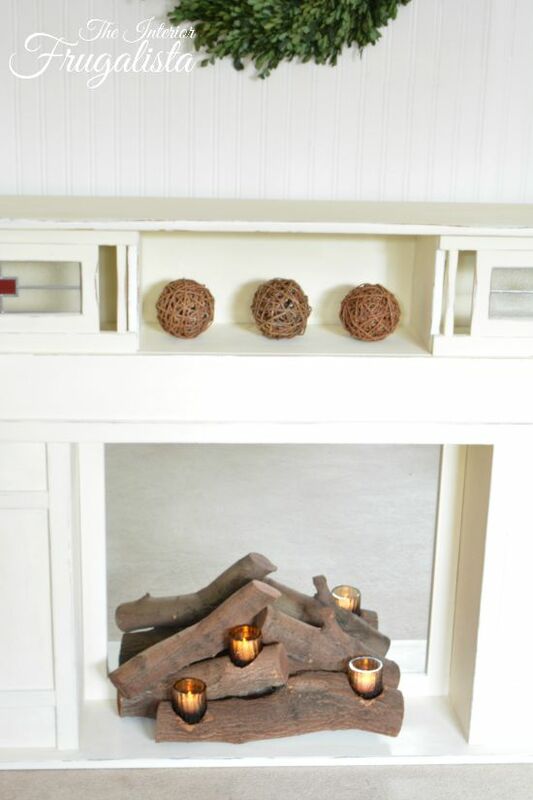 Which look do you prefer, the look of natural logs or using candlesticks inside a fireplace opening? I'd love to hear about in the comment section below. 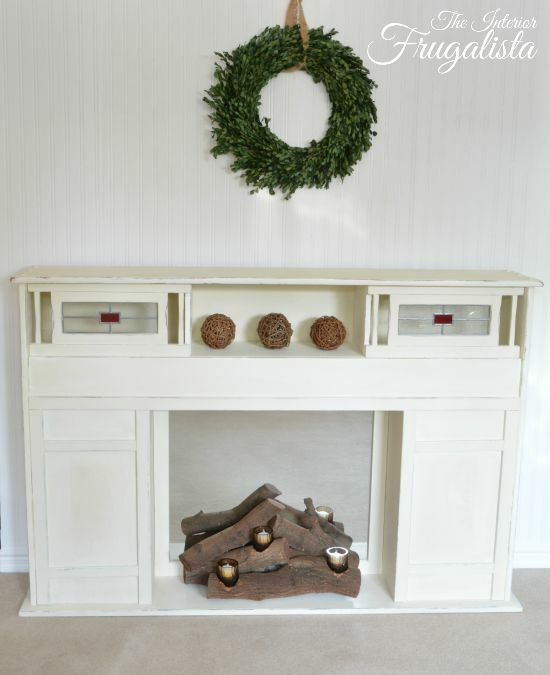 You will find this project shared at these fabulous Linky Parties.